“Shade of Evil” by Steve K Smy is a fairly short novel / novella about a simple man whose underprivileged existence seems to gnaw away at him. Living in a tiny flat with lots of other people in the same building across a former chemical plant, getting depressed and finally collapsing he is more than a little recipient for some shade of evil that approaches his soul and humanity. 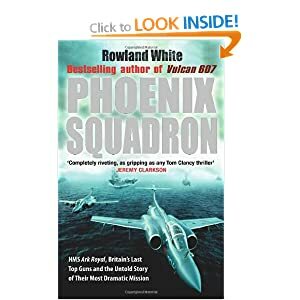 After a breakdown he is helped by a generous benefactor but nightmares warn of a coming evil for which he will need professional help.In parts a psychologically intriguing fable on modern life, in others a great paranormal action story this book combines depth with gripping entertainment. I loved the way the author slowly shows us the terrible living conditions of Harry and the misery of his existence, then contrasts this with the great place of his recovery with Dr. Pattinson, yet, before it gets too dreary we get thrown into the action side of the book that brings the situation to a climax and a swift solution. Steve Smy is a promising writer whose future work I will be watching out for. I must point out that this is an entirely unsolicited review! You can find the review at Goodreads or Amazon. The above story leads to this one. Of all the sites that my books can be obtained from, only one sends notifications of sales: Smashwords. That’s disappointing enough. For reviews, however, it is distinctly frustrating! Again, only Smashwords sends notifications for reviews received. Why don’t the other sites if they allow customers to review purchases/downloads? I can live with nobody notifying of new ratings, but surely reviews are rather significant? It doesn’t take a huge effort to include it on the selectable settings for an author’s account, like any other optional email notification setting. It is a lengthy process trawling through all the sites, checking for reviews, especially when you then have to visit each individual book’s page if it’s not clear on a ‘list’ screen! Of all the reviews I’ve received on bookstore sites (and I include Goodreads here, for convenience), I have only discovered that I even have reviews by accident, followed by a check of all sites as a consequence of such a prompt. Perhaps authors should campaign for the option to be offered? I’d really like to know what you think! Are you as frustrated by the situation as I am? Do you have some trick I’m not aware of that allows you to track review activity easily – preferably by getting emails for them? Am I simply a victim of my ego? Does the problem extend to other sites, like book review blogs and such? Have you ever been surprised to find that somebody has written a lengthy review of one of your books without your knowledge on one of these non-store sites? Yes, I confess it! I really am a cartophile. I love maps. Don’t confuse the word ‘cartophile’ as used by card collectors with that denoting a map lover! I have since childhood, when I used to pore over the maps in a small atlas. The older the maps, the better, in some respects, though I also love entirely fictional maps when they’re very well done. Not only do I love maps, I love drawing them myself. Fictional maps first intrigued me because of those produced for J R R Tolkien’s The Hobbit and The Lord of the Rings. When I embarked on my own writing, heroic fantasy featured strongly, centred around one world, for which I drew various maps, including one world map in a kind of Mercator projection. My fantasy novel, when I finish it, will also feature a map. If you’re interested in fantasy maps, take a look at www.fantasy-map.net! In my teenage years, I bought a Jackdaw folder of the Battle of Waterloo (sadly, no longer available), and discovered that I also found military maps fascinating, with all those symbols denoting troop positions and movements. 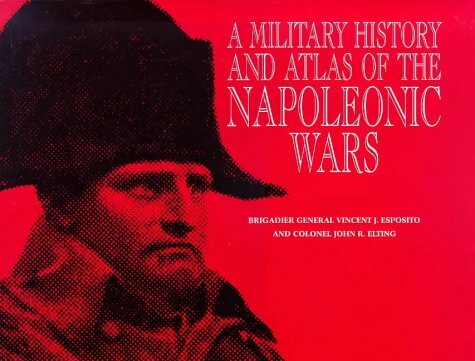 I would say that my favourite book of such maps has to be A Military History and Atlas of the Napoleonic Wars by Vincent J Esposito and Colonel John R Elting, edited by John R Elting. It is one of the finest works I’ve encountered on all the European battles in which Napoleon fought, between 1796 and 1815. The large maps are beautifully clear and illustrate the battles superbly, enabling anybody with an understanding of maps to appreciate the terrain that those battles were fought over. You can follow the progress from the build up to beyond in each battle. The history part is equally well written, without the massive clutter of personal opinions and moralising about the character of Napoleon which other books suffer from. It is a book that I heartily recommend to anybody with an interest in the Napoleonic Era, or even just those with a passion for battle maps. I would give it ten stars, if I could! Outside of books, I love the UK’s Ordnance Survey maps, especially the most detailed, and the antique maps commonly found as aged reproductions and usually featuring the fascinating maps of English counties by John Speede, which date from the 17th Century. I would love to get a large reproduction of Speede’s map of Suffolk, my home county. The usual versions of his maps are so small that reading the detail is challenging. Are there any other cartophiles out there? This post has to be directed correctly, so I’ve split it by subtitles. There may be some duplication, in thought principle at least, between the two parts, and I hope you’ll permit me those, in this instance. So you’ve read that book. I acknowledge that the sense of accomplishment in dong so varies from reader to reader. Some may be speed readers, consuming books at a rate that I could never comprehend. Some may be like me, digesting each sentence like a meal for the mind, making slow, gentle progress. Many more will fall between these two extremes. Nor would I wish to ignore those readers who must battle some impediment to their reading. To these last, the greatest respect must be given! Now, with the book closed for the final time (for now, at least), the question is: what do you do next? DO you set it aside and take up some new book? It’s a simple thing to do. You’ve drawn your pleasure from that collection of words and, like an empty bag of sweets, the remains can be discarded. But wait. Ask yourself just one question: did you enjoy it? Having considered your answer, is it overly demanding of the author to ask you to let them know? All that’s really required is a few words about what pleasure you derived from the book, or not! If you expand upon the simplest answer, explaining how you reached your reaction, then that’s even better. You really don’t have to go into things too deeply. A review can be anything you like, though something a little more expansive than “I liked this book” or “I hate this book” takes your response out of “yes/no” and into a more genuine review. I admit that there are numerous guidelines floating about the internet, exhorting reviewers to follow a particular format in their reviews. Of course, the formats being put forward vary, which demonstrates the fact that flexibility exists. Personally, I say: write what you feel like writing! I doubt that an author would be offended by a 200 word review and respond by demanding one of 2000 words. They really just want to know whether you enjoyed their work or not, and maybe a hint as to why. Anything beyond that starts to drift out of “review” and into “critique”. Of course you can opt for writing a critique, but nobody’s expecting you to. Finally, please copy your review to whatever locations the author lists (if they don’t offer a list of locations, then all you can do is to place your review on the site you bought the book from, your blog, or maybe Facebook if you bought it from a bricks-and-mortar shop). Your book is out there, available to a wide audience. It may be available only from a bricks-and-mortar shop, or perhaps it’s also available online. Maybe there’s an ebook version. Anything is possible. The important thing is that it is out there. Presumably, you would like some feedback from your readers. The question is: what do you do to obtain that feedback? I know I’m just as guilty as any other author. We want to hear the thoughts of our readers, or even just a simple expansion on “Like/Hate”. But what do we do about it? Do we include anything that guides the reader to places where reviews can be posted? It’s quite simple. All you need is a principle site that carries the necessary information. That site should have links allowing the reader to post their review to as many locations as you think helpful, alongside a suggestion that all they need to do is to write a brief review, once, and copy and paste it to each location, not forgetting to also register a rating if that facility also exists. This is theoretically where ebooks have an advantage. You can include a clickable link that smoothes the process. And I’m not suggesting including that list of locations! You just include the principle link. Physical books have a slightly harder job, in that the reader has to be persuaded to enter the principle site’s URL. It is obviously much easier if you can keep that URL as short, and simple, as possible. Assuming that you can persuade even some readers to submit some kind of review, you need to think about what you expect or hope to get as feedback, and how you treat such feedback. You will get some negative feedback, even if you’ve written the greatest masterpiece of all time! You just have to accept the fact that you can’t please everybody. Do not get involved in a dispute with such respondents! And don’t take it to heart. If you can honestly assess their comments and find some merit in at least some of their remarks, then take them on board and let them help you become a better writer. Equally, if you have enormous praise piled upon your work by a reviewer, be wary. Don’t think that their effusiveness is indicative of you having achieved something truly extraordinary. It takes more than a handful of such reactions for you to be even thinking that you may have achieved something significant to anybody but yourself and these few fans. One thing I ask of you: please don’t issue demands that willing reviewers adhere to some arbitrary minimum standards! A review of any kind is all you should be asking for. Don’t supply a “format guideline”. A review is, after all, as personal a work of writing as your book! Respect the reviewer and their right to do things their way. And remember: the majority of your readers who do provide reviews, do so voluntarily – they aren’t being paid.